Known for their brief hiatuses, Nov and Chase left us with the gritty visuals for the intro to their EP, ‘I Will’. Directed by iiivivkarats and Zac Facts, A-Game returns to their old stomping grounds of Scarborough, Canada to release their lyrical frustrations and such! Today they drop their latest project Double or Nothing aka DON. The 7 track compilation sets the tone for the cool, laid back and mature sounds the twins have adapted over the last few years, since their highly playful single “Money Made Me Do It”. Listen while these Cool Boyz surf over the production of Nikhil. S, Bass Line, Jazzfeezy, Doc Jones and Chef Byer. New Video from the A-Game – Zone 6ix. The duo from Toronto roll thru the six in style! 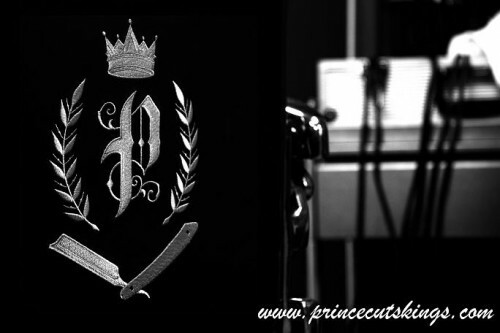 Justin “PrinceCutsKings” Picones is one of Toronto’s most talented and premier barbers. Catering to an upper echelon clientele, Prince provides his services to celebrities such as Drake, Flo-Rida, Tinie Tempah, JRDN, to name a few. In this brand new video, Prince showcases his skills, precision and some dope fades. Featuring some of his notable regular clients such as T-Minus, Lokz and A-Game, the video also bangs hard with an exclusive T-Minus beat. This young, up and coming barber has skills that can’t be ignored, and is widely considered as the leader of a new generation of barbers. Get cut by a prince and feel like a king. PrinceCutsKings full resume can be found at www.princecutskings.com. Take in the dope skills Prince displays within the video and his Thght Process Q & A below.